Hope all of you had a very nice weekend . Todays is Monday ,and the special thing about today is today is one of those rarest kind of Monday that comes on the date 1st .Is’nt this that wonderful opportunity to start taking care of your skin. 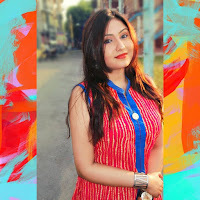 Today I am going to tell you all about something that really made me happy. 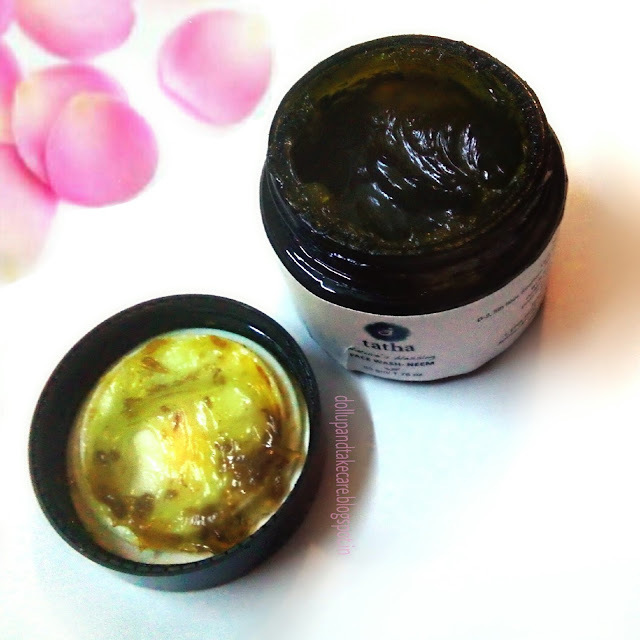 A neem face wash is the ultimate need to get pure perfection . 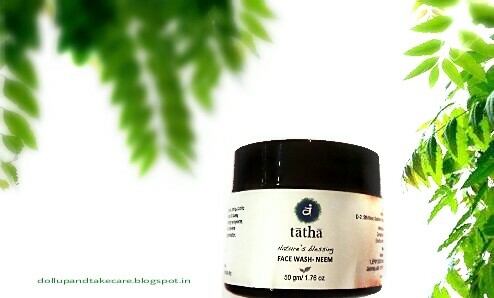 A few days ago I received a face wash from Vedic Collection’s TATHA Range. 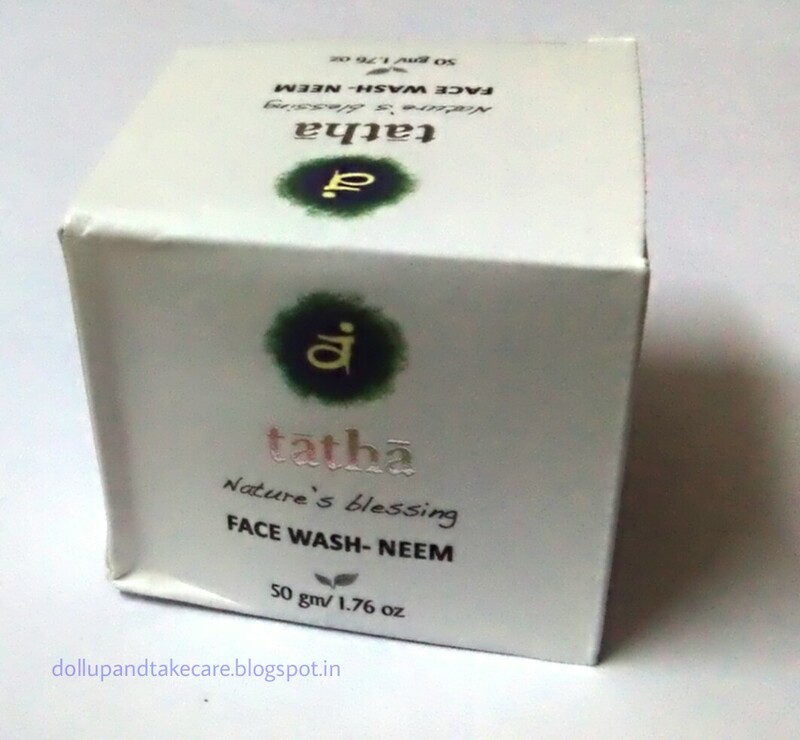 Tatha Face Wash Neem is a very very effective facewash that cleanses dirt ,oil and grim very beautifully . In comes in a glass tub which is a little heavy and opening the lid there is a white air tightening plate ,removing which you ultimately reach the face wash. I wish it came with a spoon so that we never had to dip our hand .I personally prefer tube washes or atleast the flip cap ones . Anyway I use wooden spoon to scoop the wash and recommend this to everyone. Coconut oil,Seasame Oil , Neem Leaves. Color is absolutely same as the color young neem leaves. First of all fragrance is a turn on for me .I personally stay away from skin care product that contains strong scent . This facial wash smells completely ayur vedic and the smell it self has got a freshness spreading aurae. On damp face I applied only a little more than a pea size and washed of . It wont foam up but will lather in very gentle manner. It takes a little bit of effort to wash off as the slippery texture I guess because of the presence of seasame is responsible for it . It stings a little if gets in contact with eyes but no redness is noticed . I haven’t seen any adverse effect .I have pimple prone skin as I just entered my 24 so pimples haven’t yet started to move on . 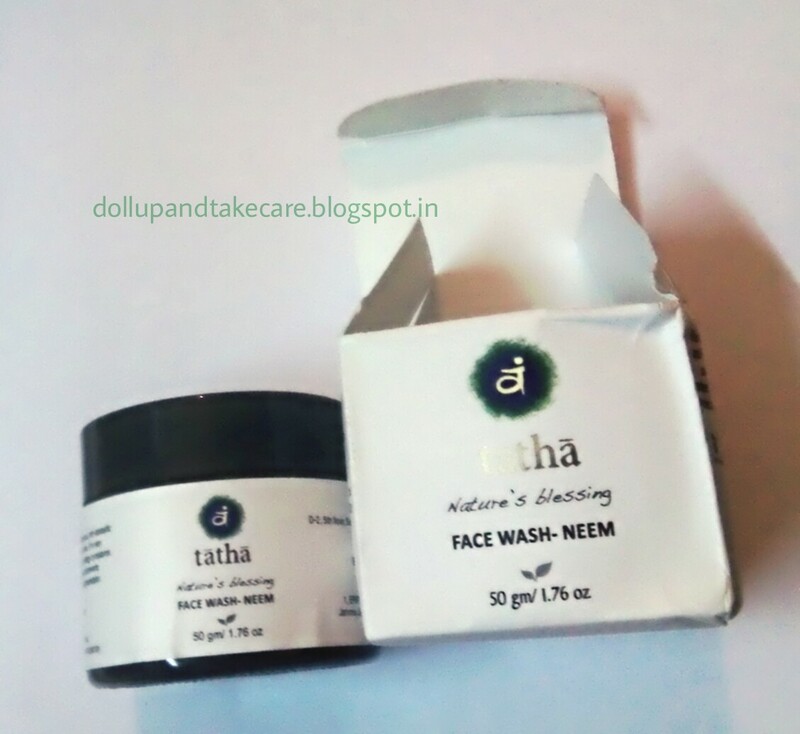 (Read they love me) I have started to feel that breakouts are healing and newbies are not yet daring to show up .I wish pimples continue to fear TATHA Face wash’s Neem variant this much . 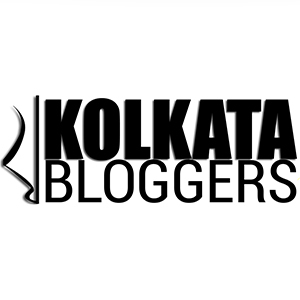 Tatha’s Signature Salon is located in kolkata’s AJC Bose Road . 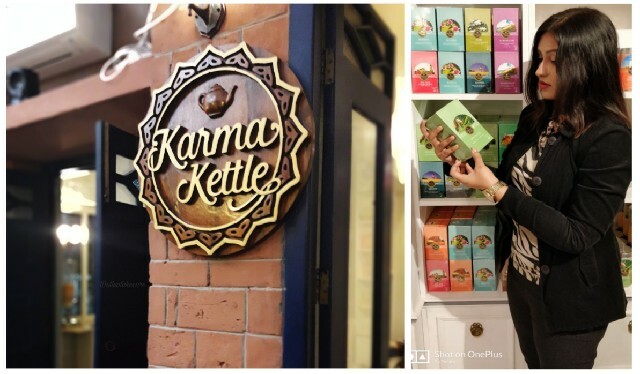 I am pretty much impressed with their product thus planning to pay a visit .